Valeri Georgiev is from the Bulgarian Danube town of Ruse. 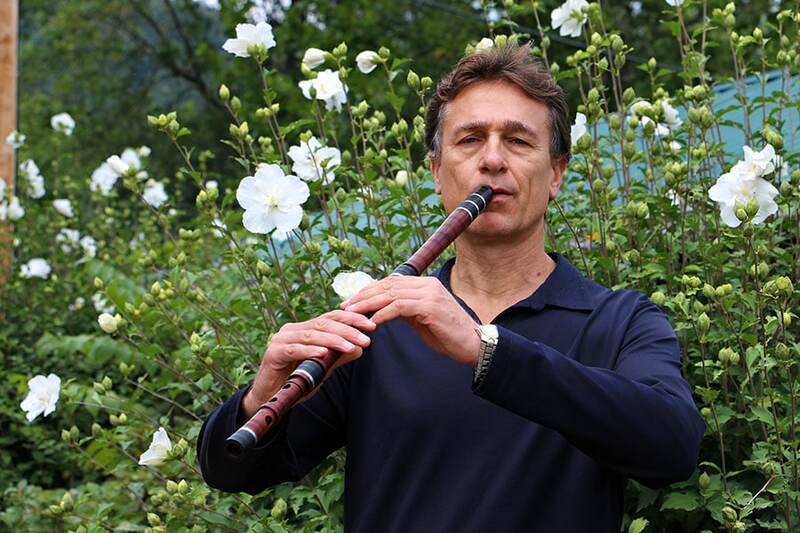 He studied kaval in Kotel with Stoyan Chobanov and Georgi Penev, and graduated from the Plovdiv Academy of Arts with a BA degree in folk-ensemble conducting. During his university years in Plovdiv Valeri performed with the student band Puldin and with several wedding groups: Luda Yana, Melodia, and Thracian Stars. After completing his education he returned to Ruse and joined the band of the Folkdance Theatre “Naiden Kirov,” and later became its musical director. With the dance ensemble, Valeri was featured on many TV and radio programs and toured all over the world. He also performed and recorded with the Ruse-based “Orkestar Horo”. Valeri composed the music for the theater piece “Geracite” and arranged many folk songs and instrumental melodies. Since 2000 Valeri has resided in the Washington, DC, area, where he plays with the Bulgarian folk band Lyuti Chushki. Valeri was a recipient of the 2008 Maryland Traditional Arts Grant. In 2012 he received the “Sts. Cyril and Methodius” award for the preservation and promotion of Bulgarian culture abroad. He has performed as a guest musician with the Kolevi Family Orchestra, Solomon’s Dream, Balkania Orchestra from Toronto, Trio Traki from Madrid, the duo HaSega!, and the Locrea Project.